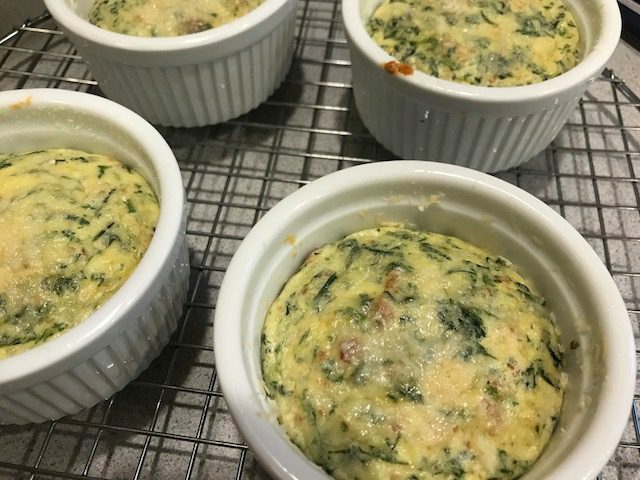 Posted on 18 May 2018, in Cook The Book Fridays, Eggs, my paris kitchen and tagged cheese souffle, Cook The Book Fridays, eggs, my paris kitchen. Bookmark the permalink. 8 Comments. I haven’t gotten this one done yet. 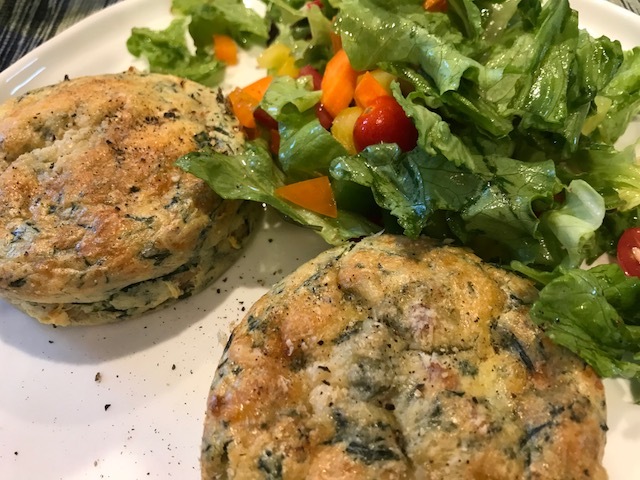 But I’m kind of with you – individual dishes, twice baked? I actually think soufflés are easy (I know, the timing), but I’d rather have one. The upside of this is at least there’s a vegetable in there!! If I make this, it will be a full-sized one. Leftovers? As you say, kind of like a frittata. Yours look adorable. Glad that you enjoyed them, and kudos for making them this evening. These look great. I’m a little apprehensive about the soufflé myself, but having never tried it that could be why. The flavor combination is great though and I’m excited to try it ASAP! I have to agree, these ingredients would be great in a frittata or a quiche. I enjoyed all the flavors and will definitely try it again. There are certainly a lot of steps, but I don’t see anyway around it. I made half the recipe and used a scale to measure each ingredient. You can imagine the many small dishes strewn across the kitchen when the cooking was underway. At least, they tasted and looked fantastic in those tiny ramekins, which don’t get a lot of uses. Yes this did kind of remind me of frittata (especially the reheated, next-day versions), but I liked making them! Your dinner plate-up looks great! Hubby don’t like bacon, so I made do using only one egg white and yolk! Enough to fill a 200ml ramekin, dinner for one! That plate makes for one inspiring meal, and I am not one known for healthy choices lol ! 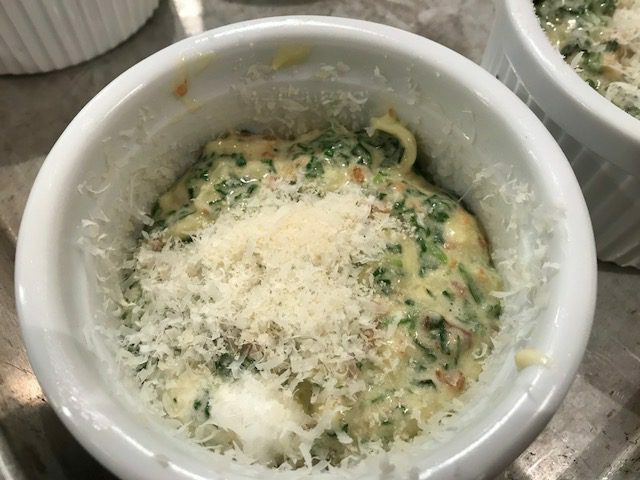 I had the pleasure of eating this dish twice as Nana made it for Pete and I, and we were genuinely raving. That said, I had not know it was soufflé until she told me. We had leftovers and they were awesome. Also thought they were quiche Lorraine so spot on about that. Very much like your phrase of “they don’t scare me…but they seem fussy”. This resonates with me on so many recipes. Hope the plant sale was a big success ! !